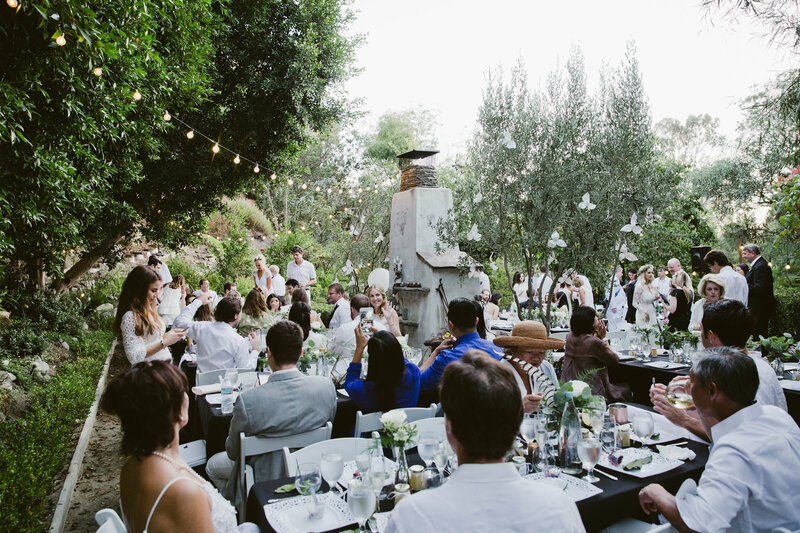 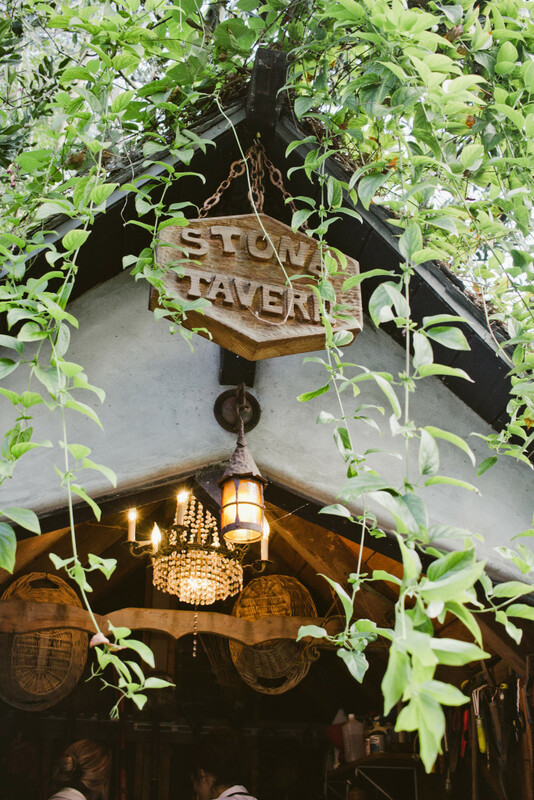 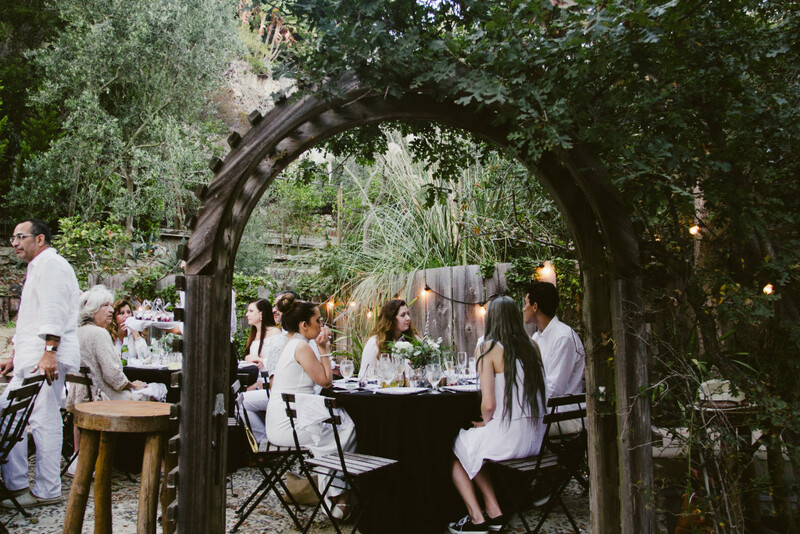 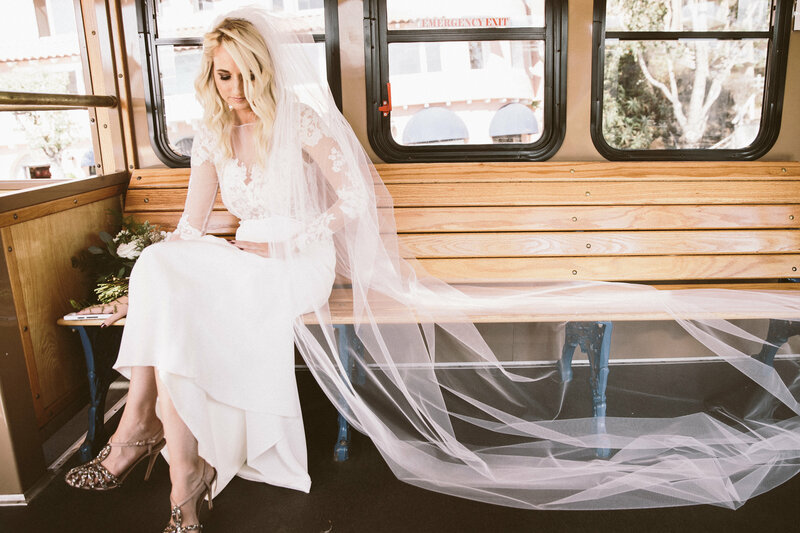 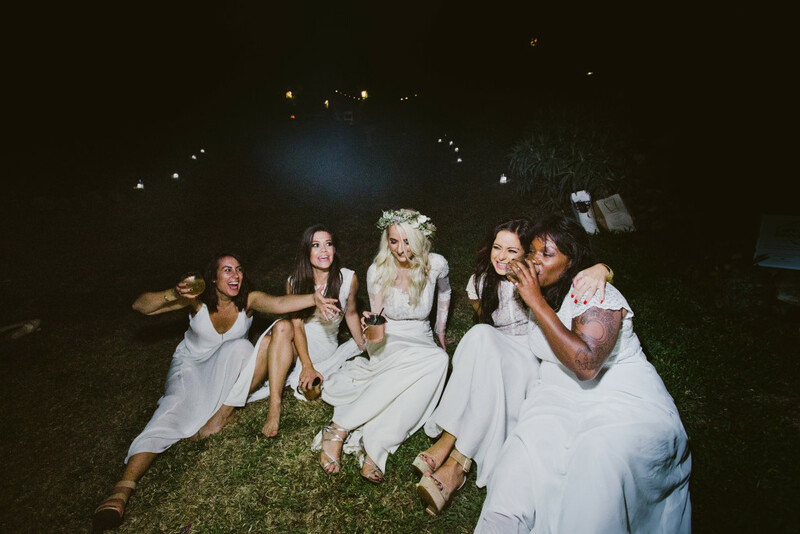 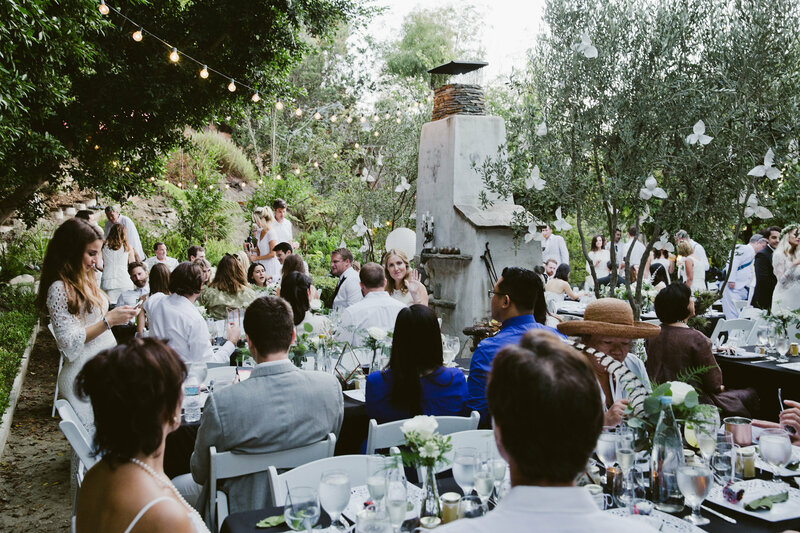 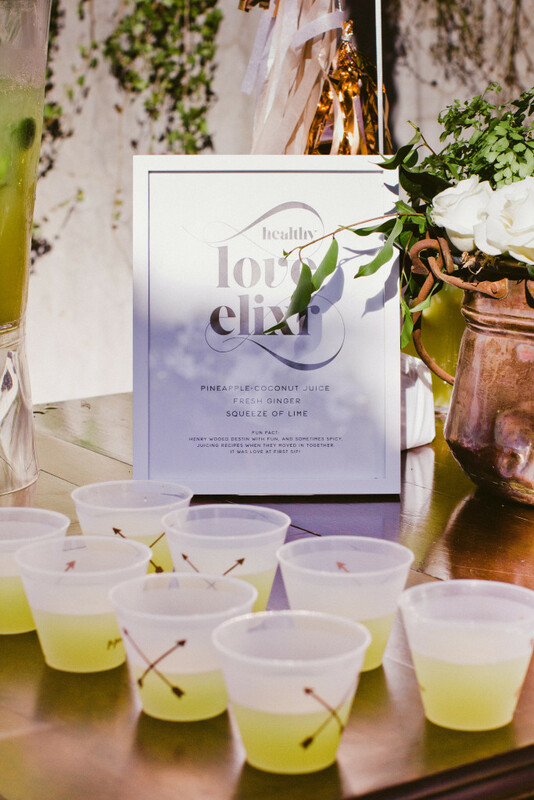 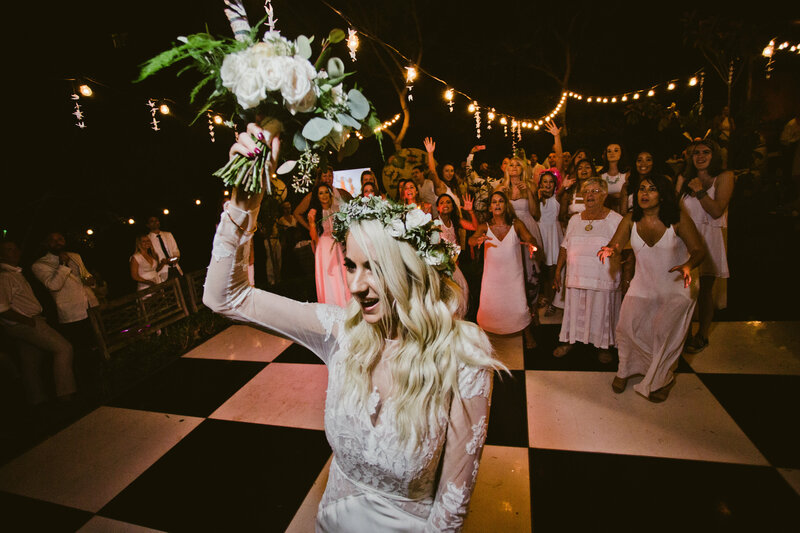 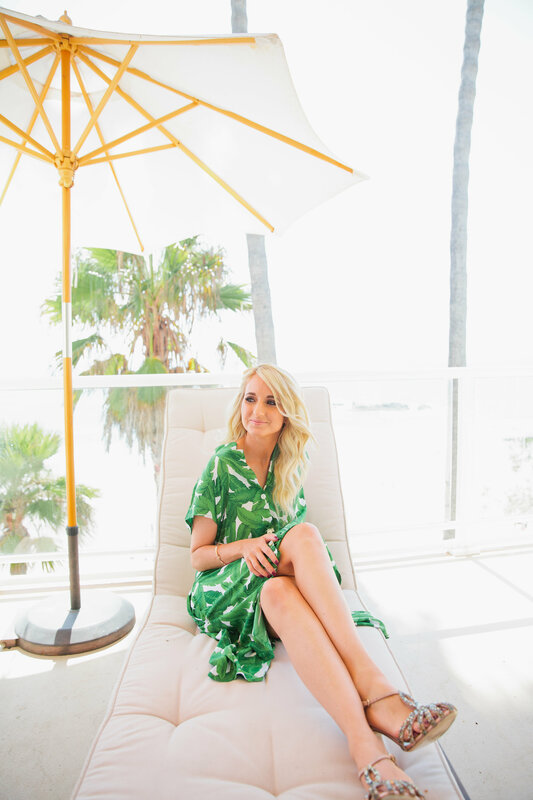 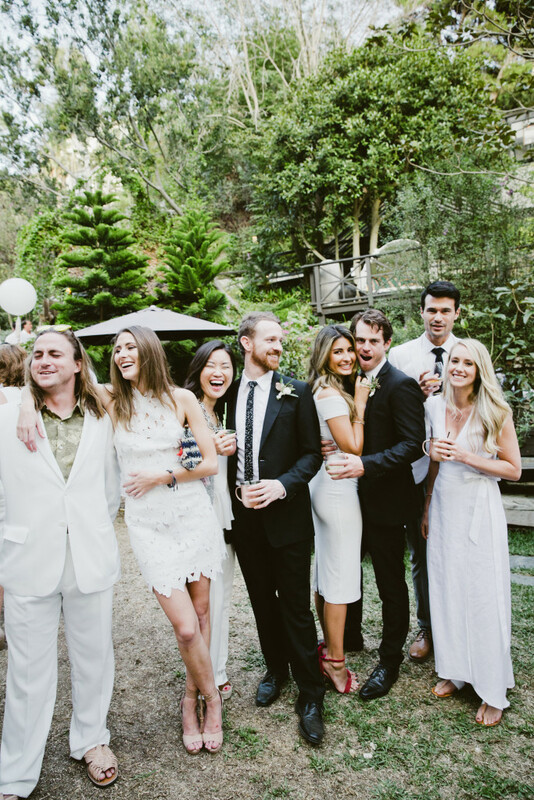 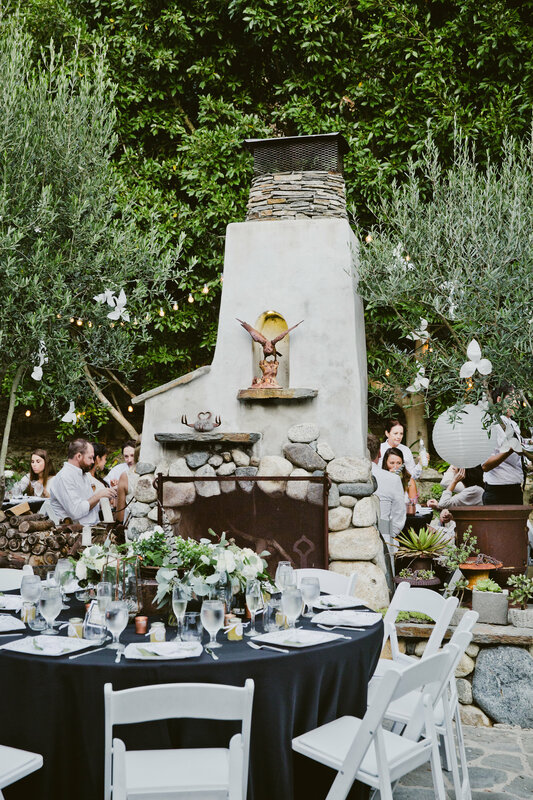 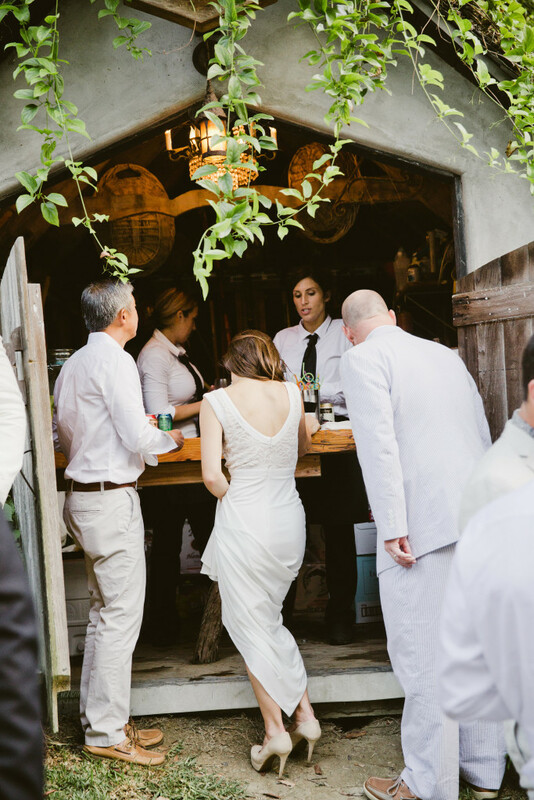 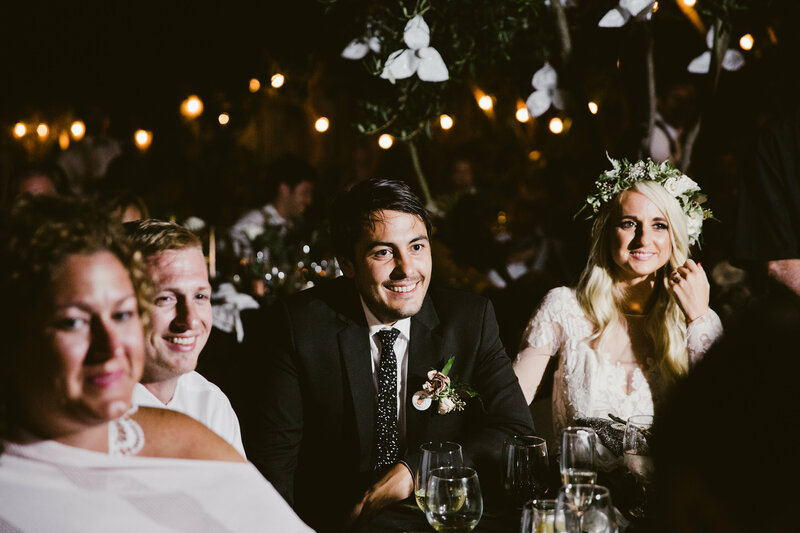 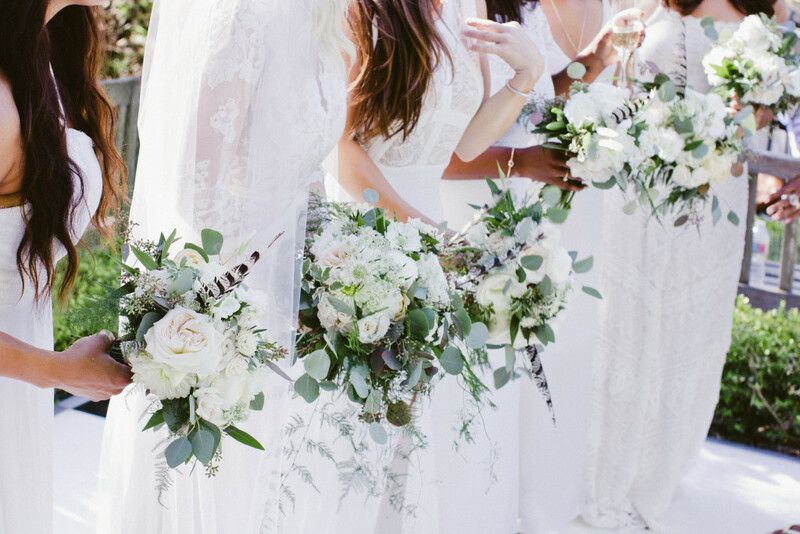 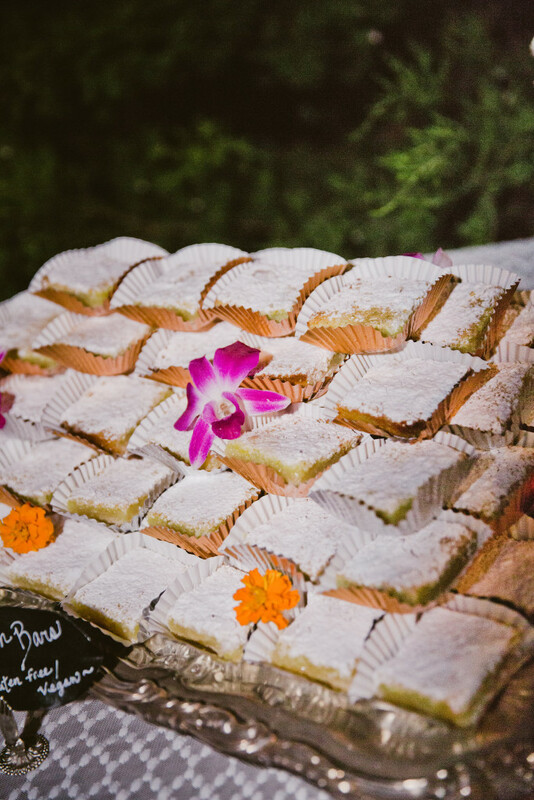 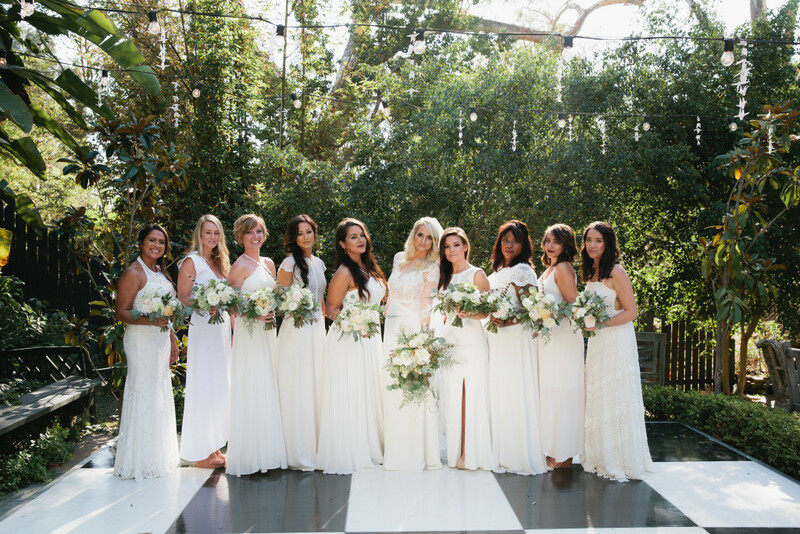 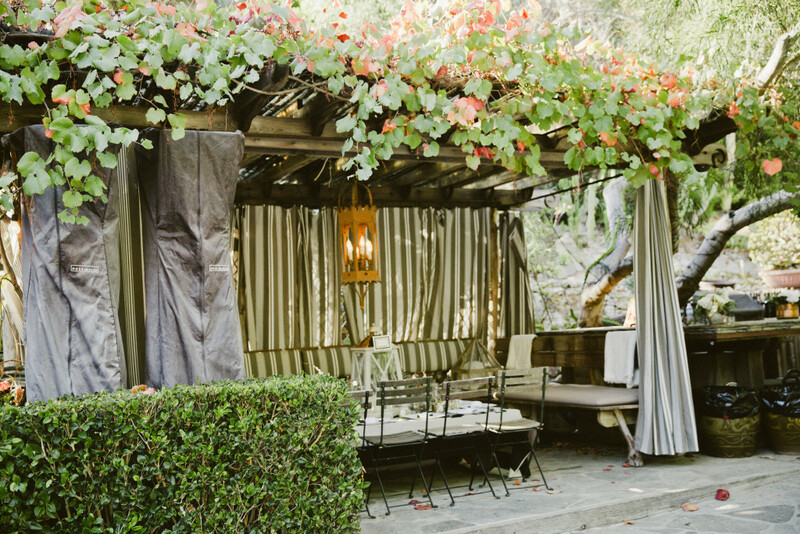 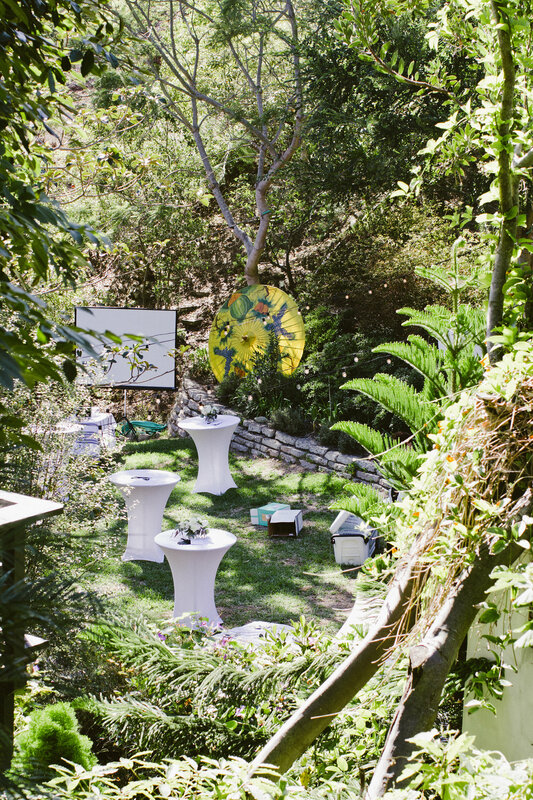 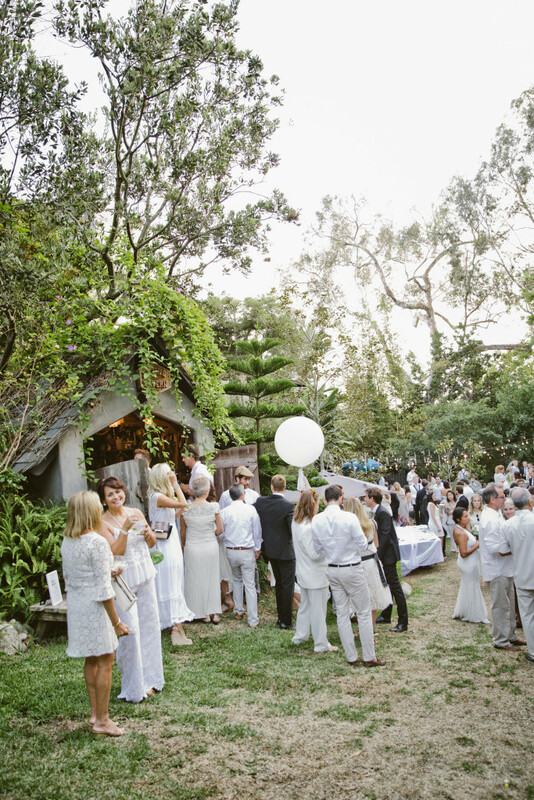 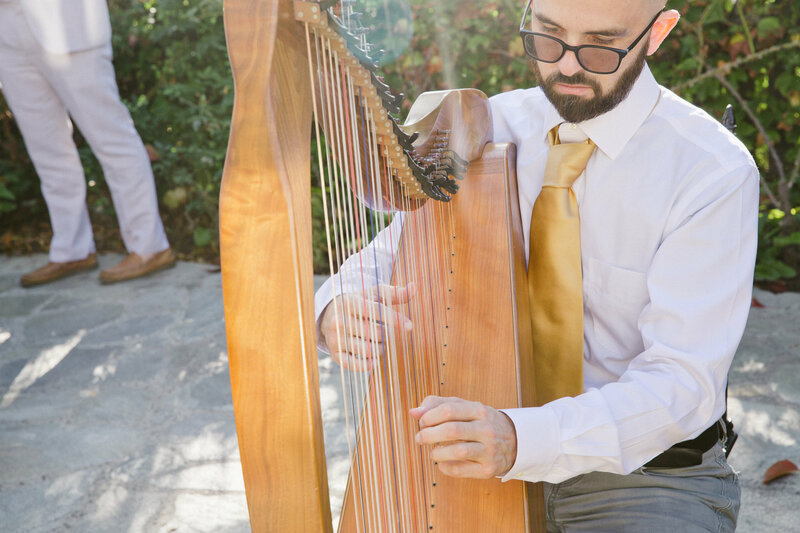 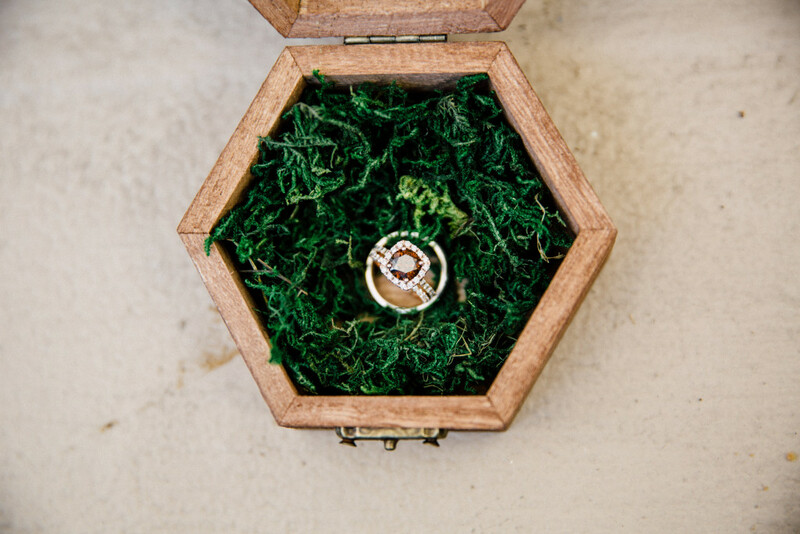 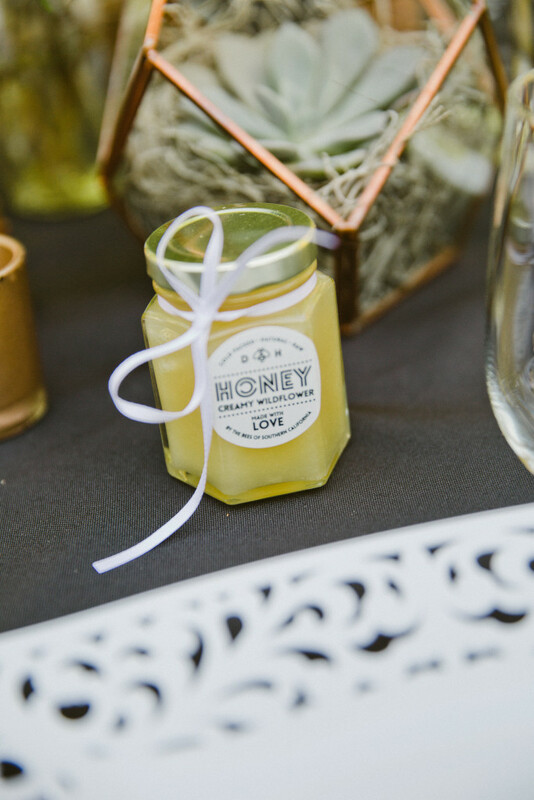 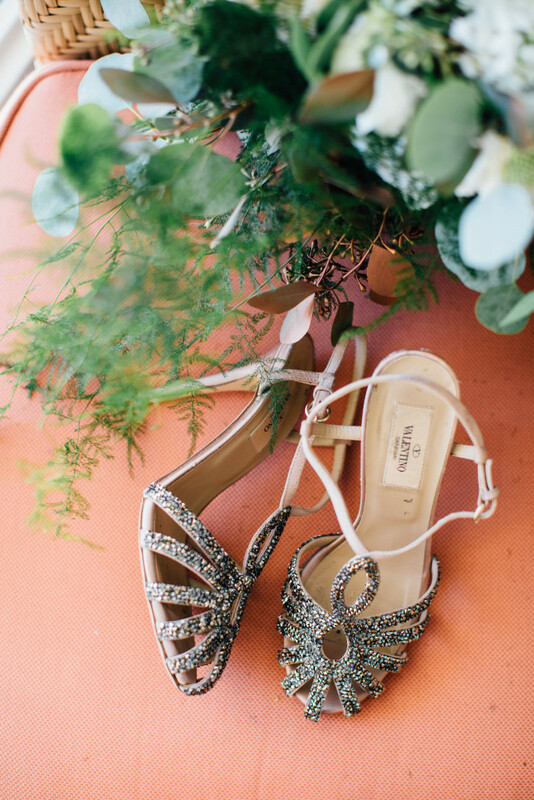 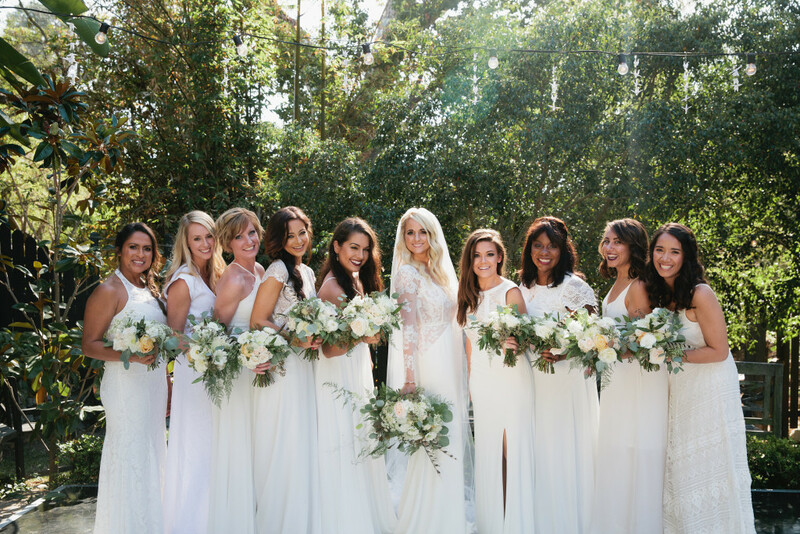 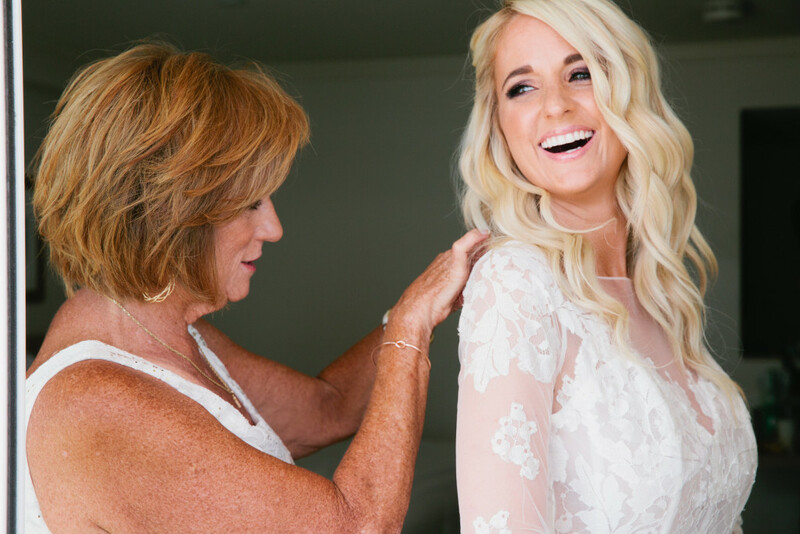 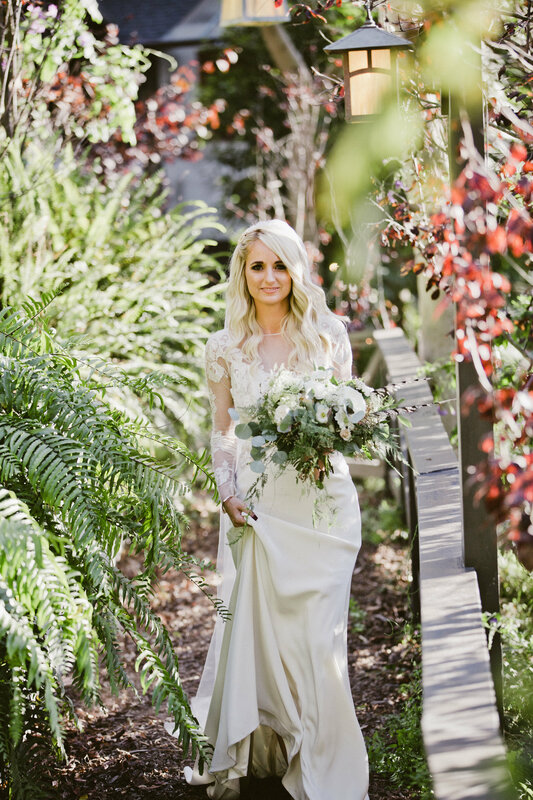 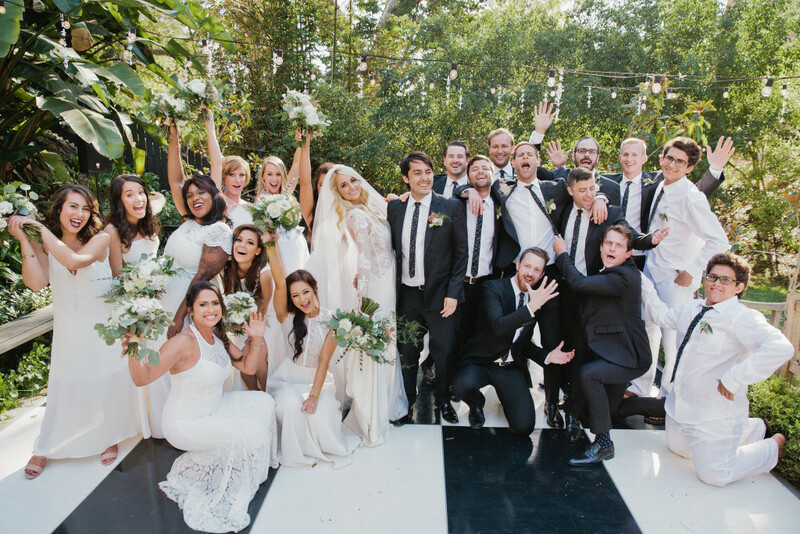 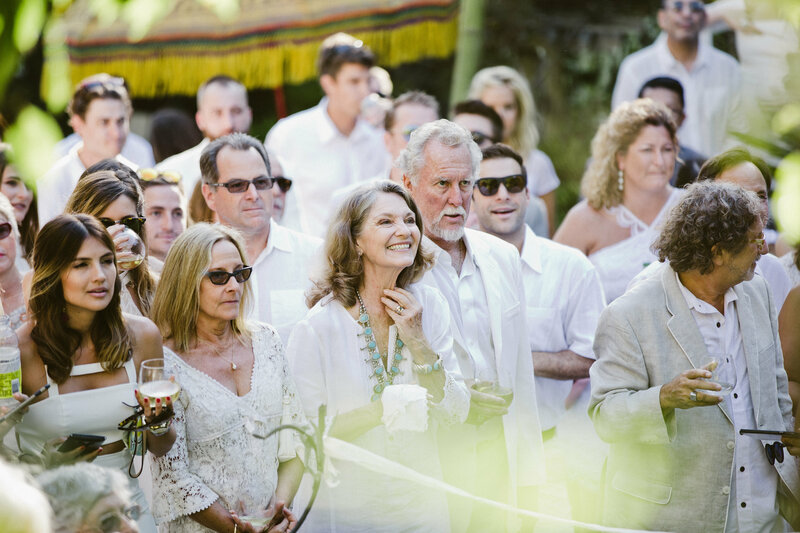 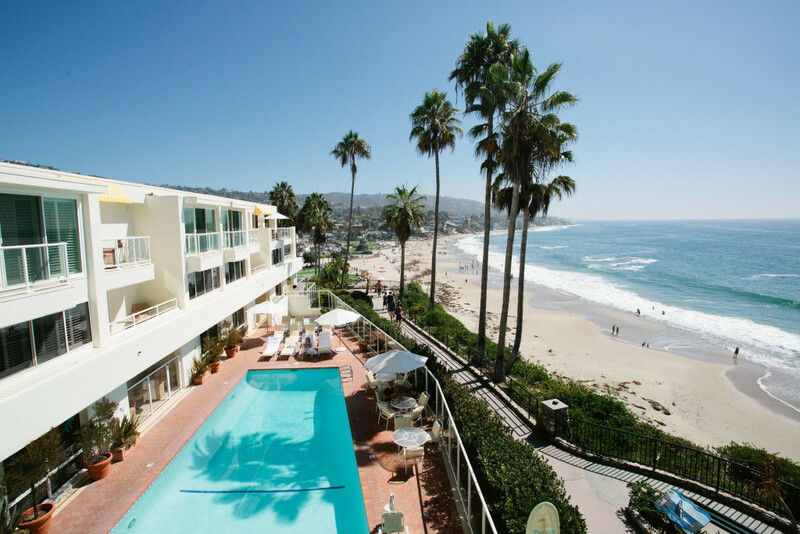 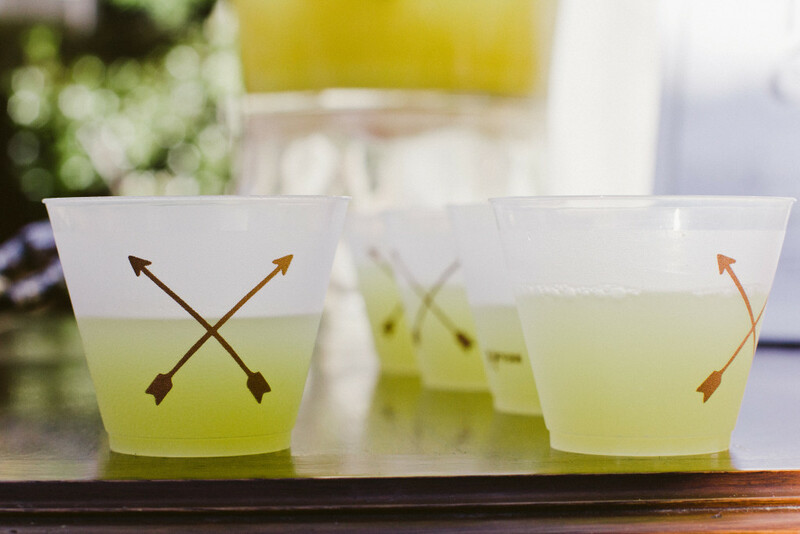 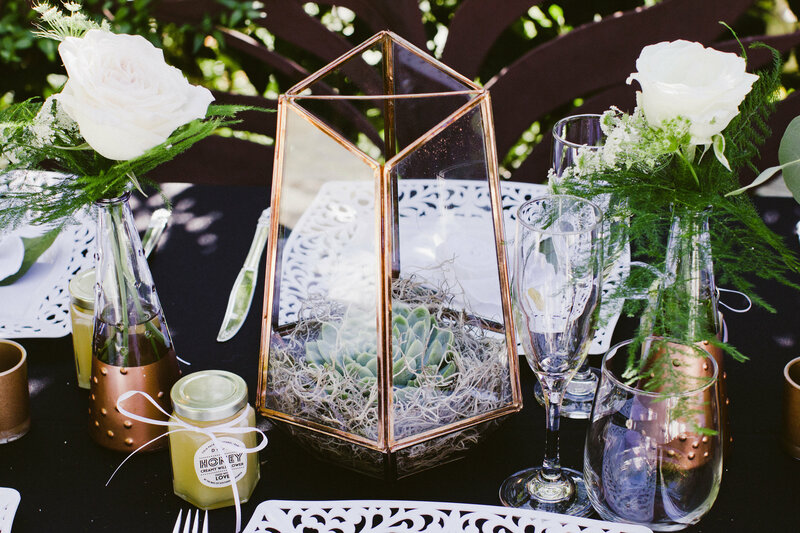 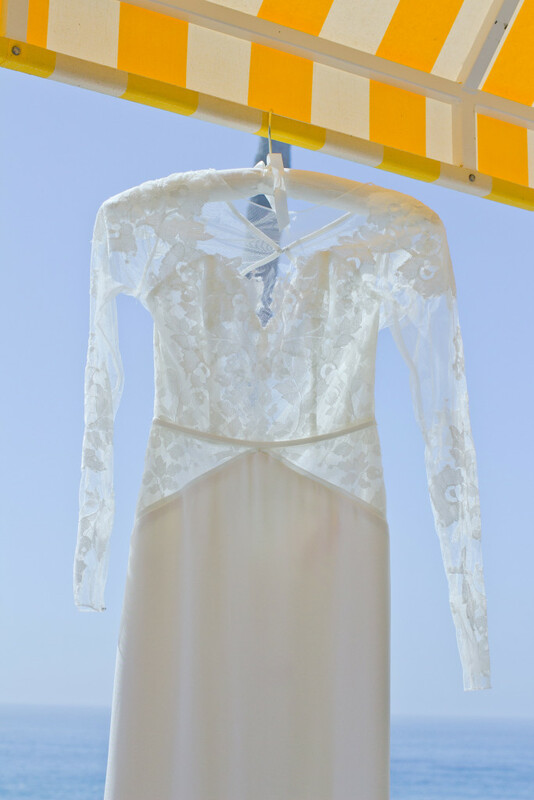 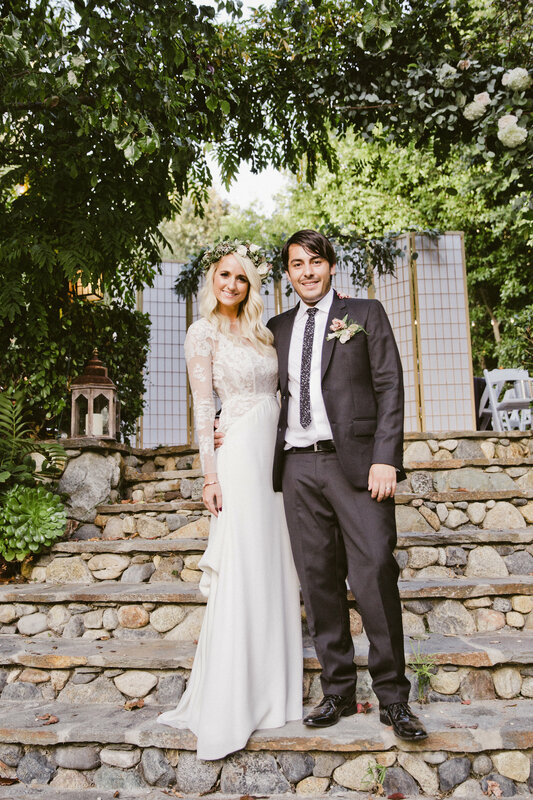 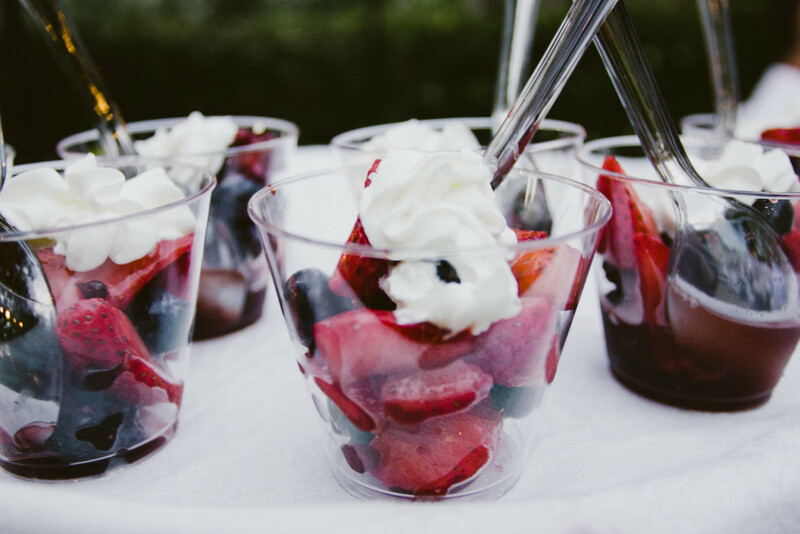 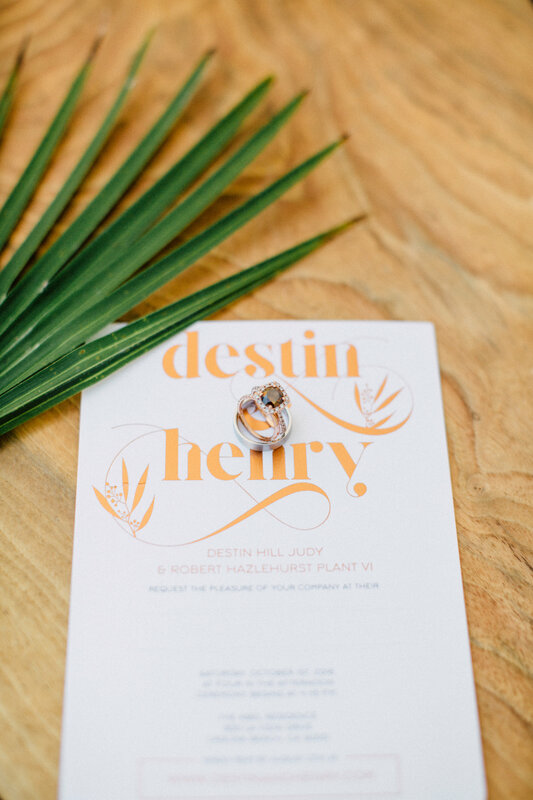 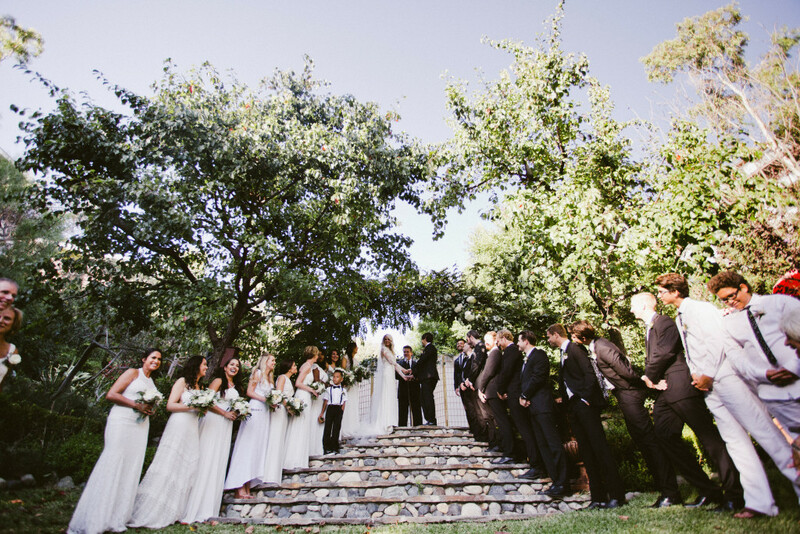 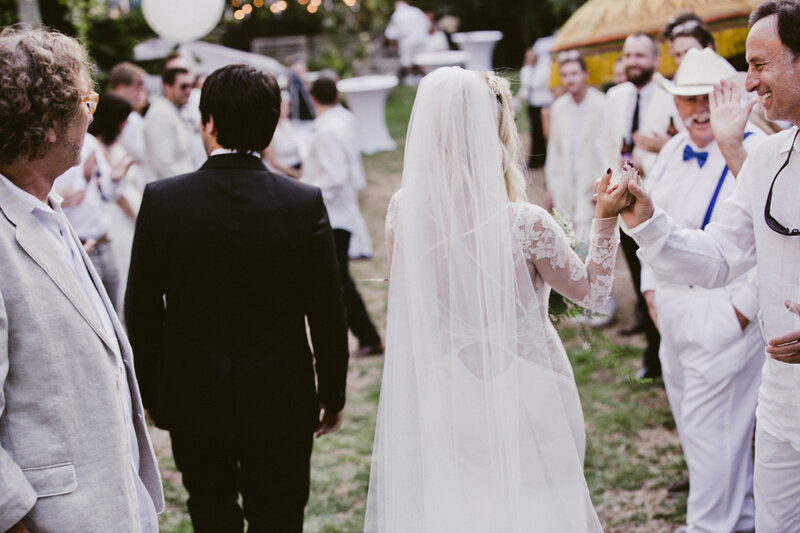 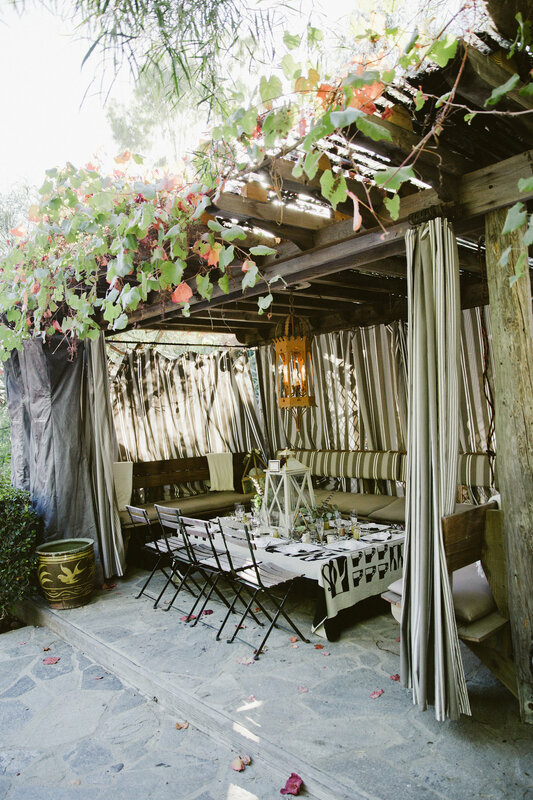 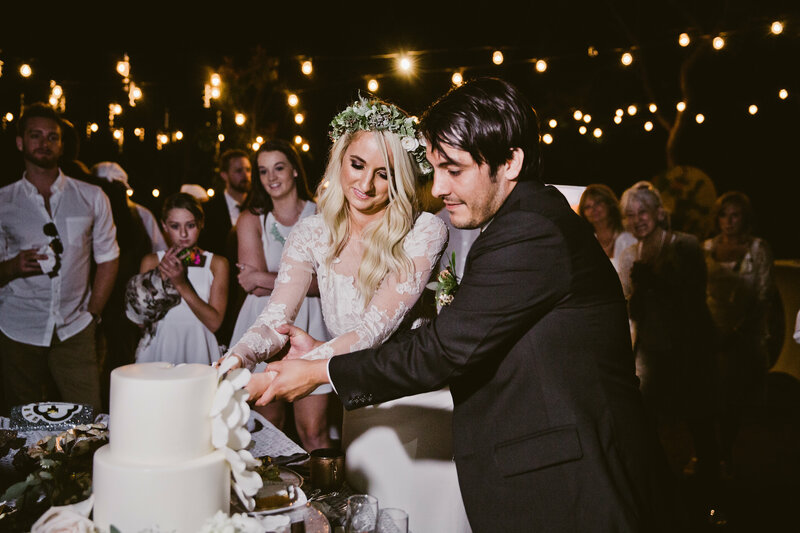 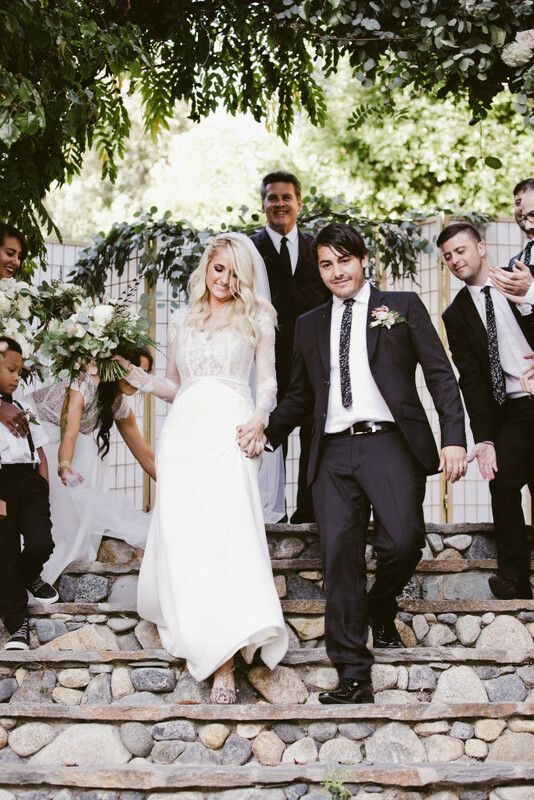 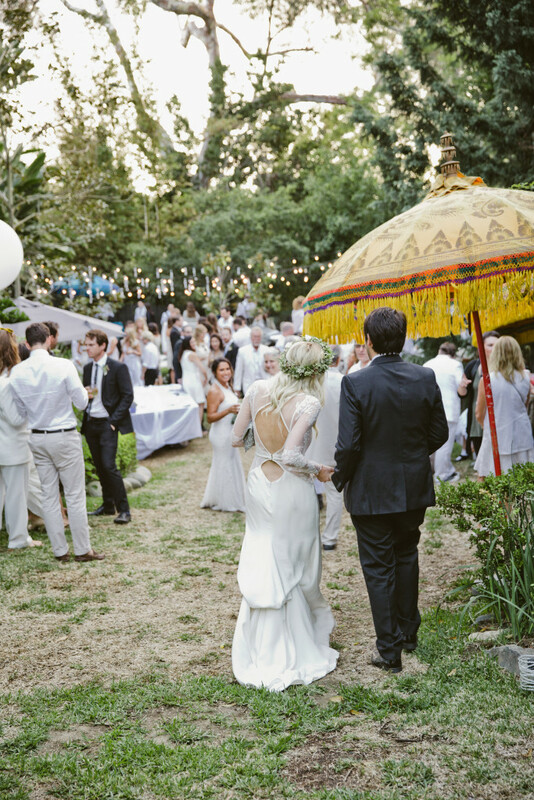 There are SO MANY things we loved about this Laguna Beach wedding! 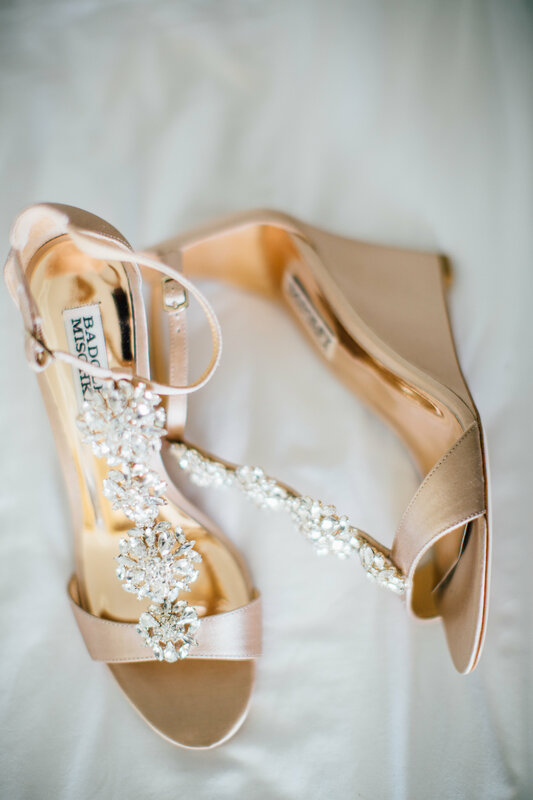 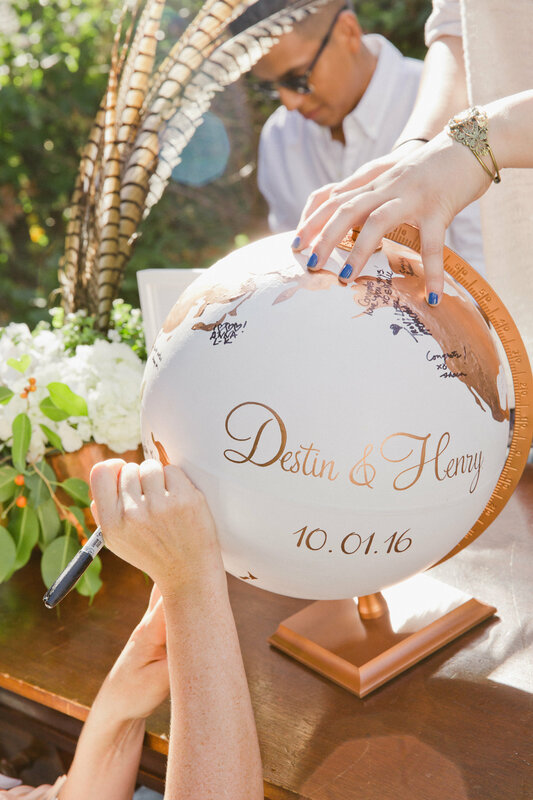 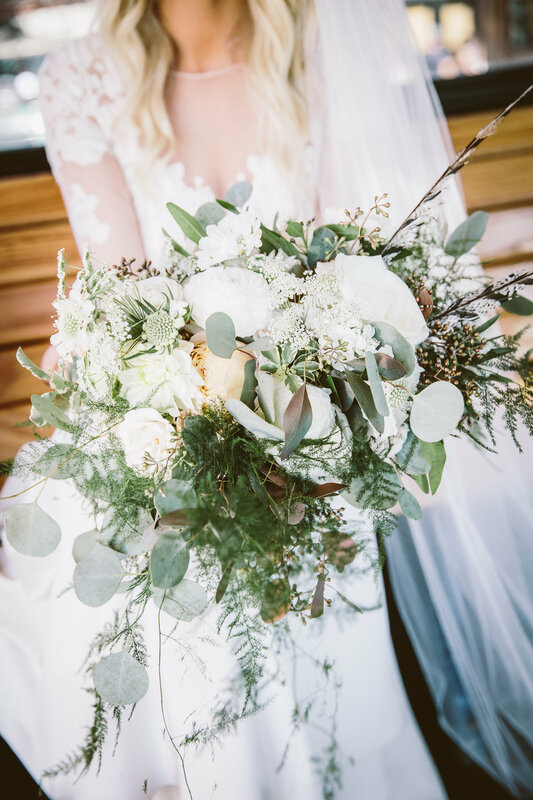 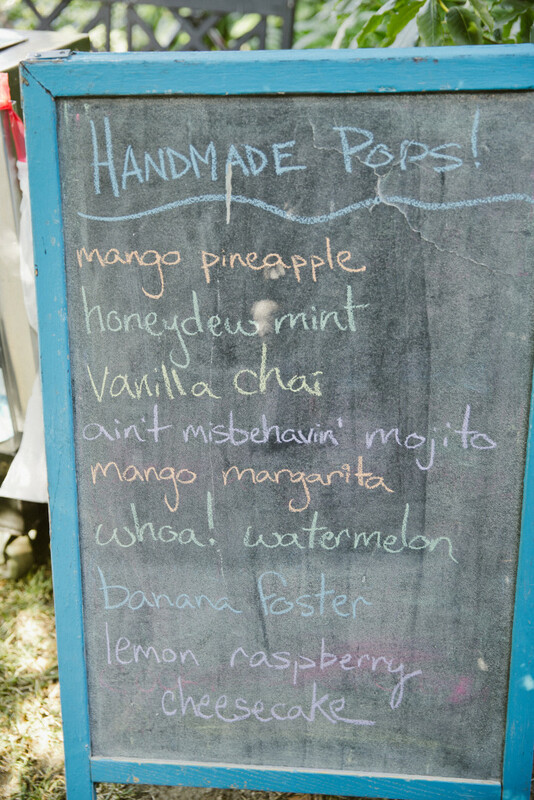 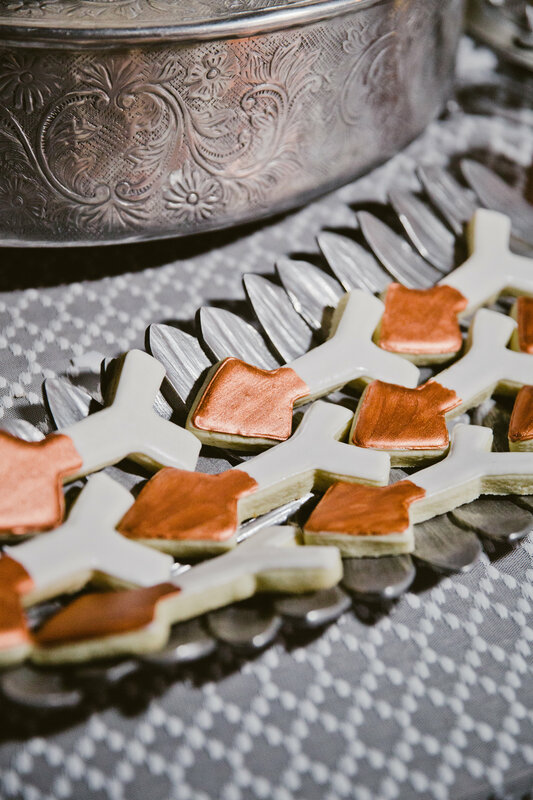 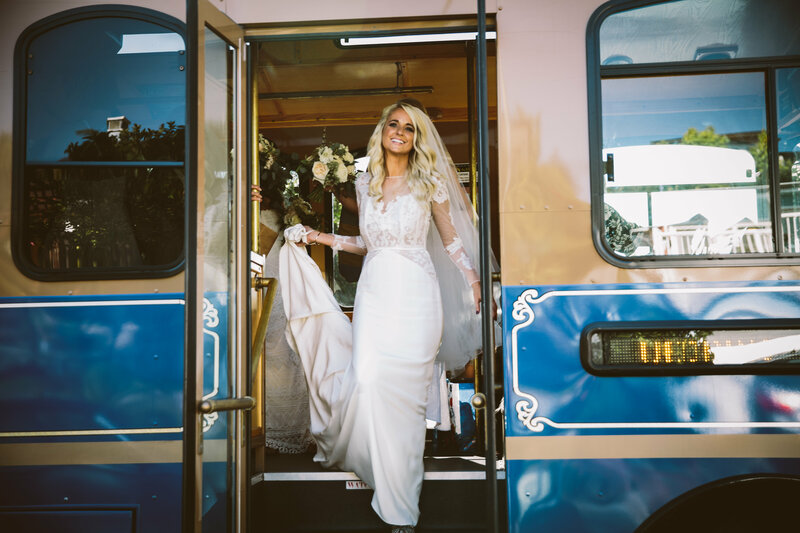 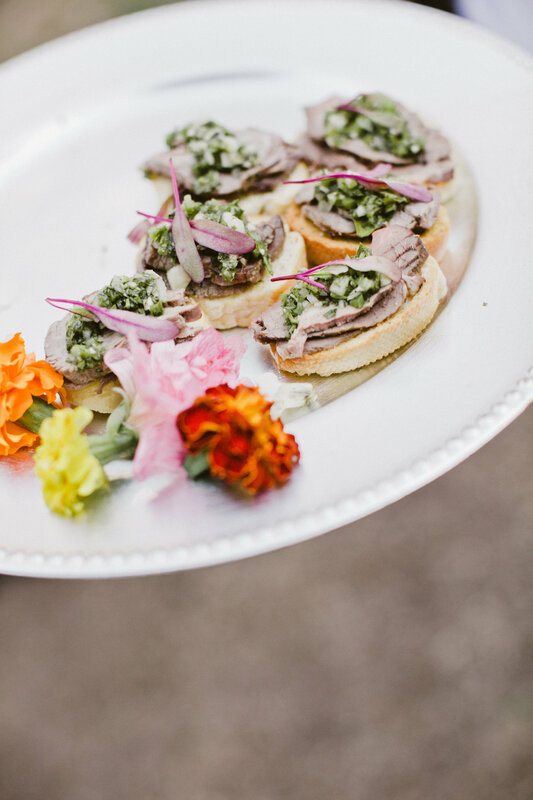 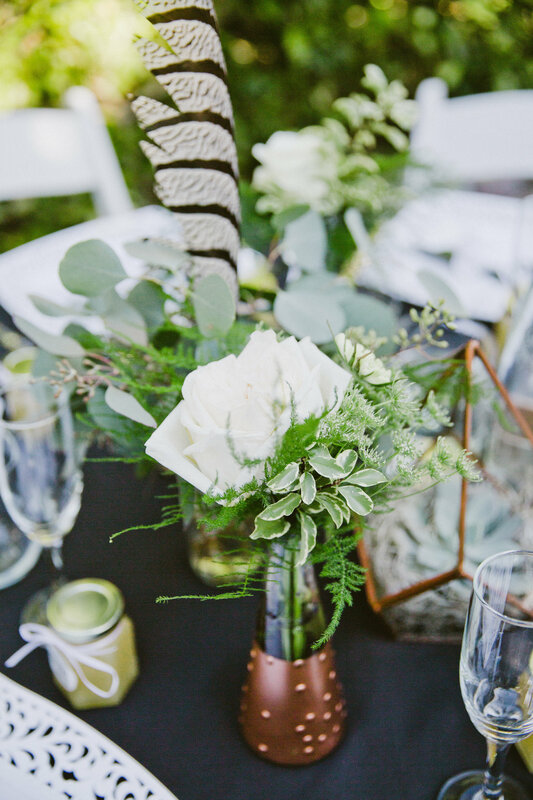 Melissa Fuller Photography did such a great job capturing the day and all the details, that it was hard to narrow down some of our favorites! 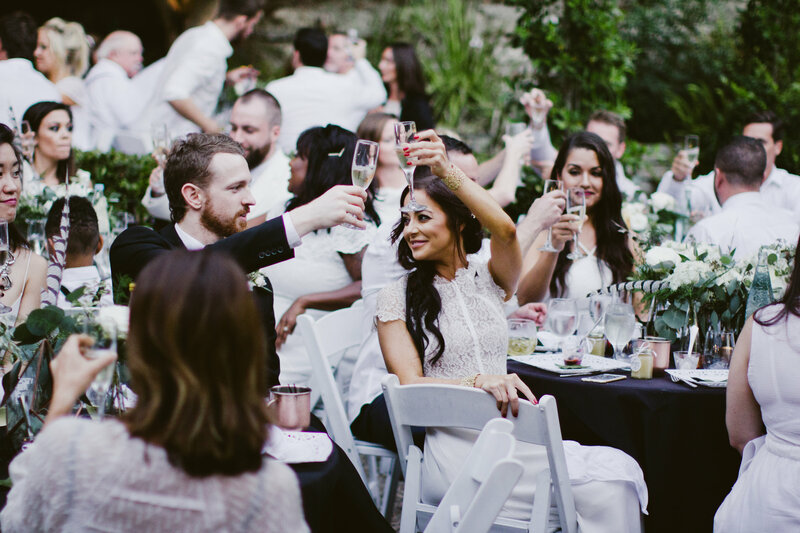 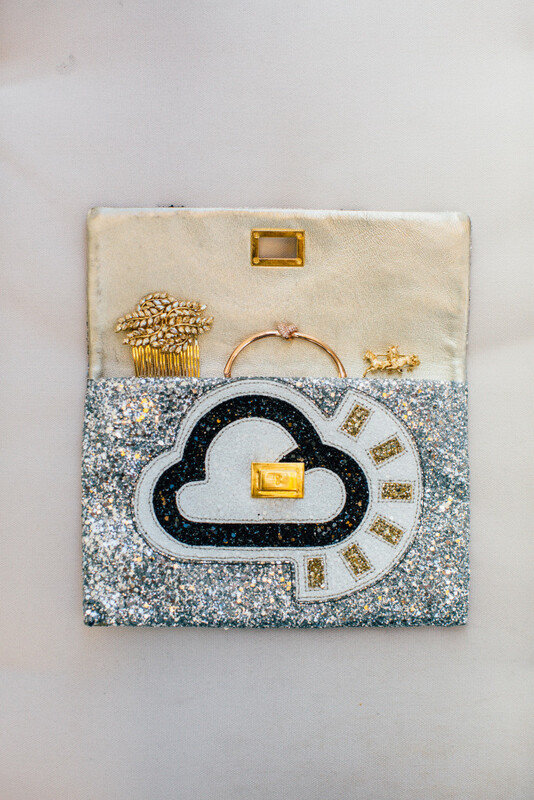 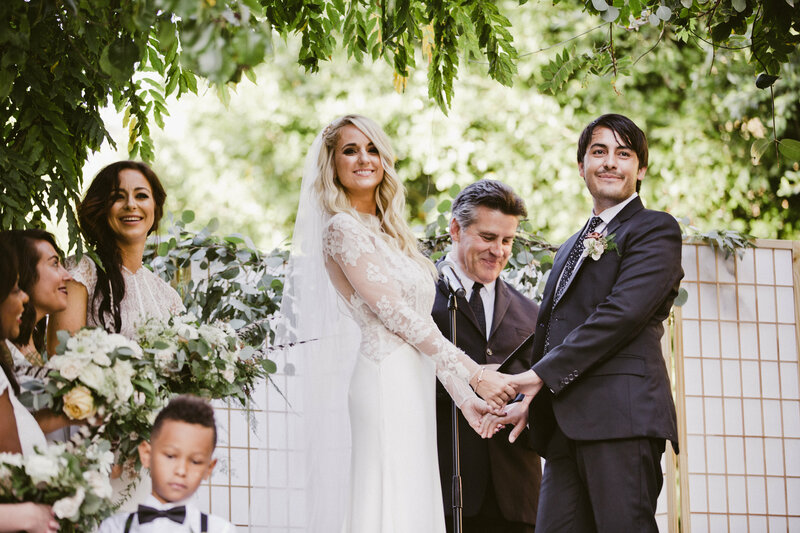 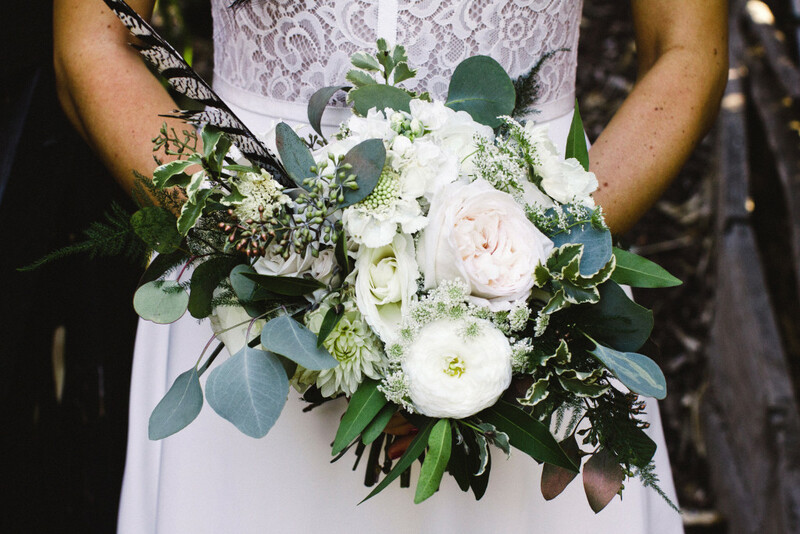 The couple requested that guests arrived in white attire to symbolize purity and togetherness.The Bride and Groom are super creative, and wanted their wedding look to reflect that, black and white graphic elements, mixed with angular design, copper metallic accents, and hints of where they first met, on OKCupid.com. 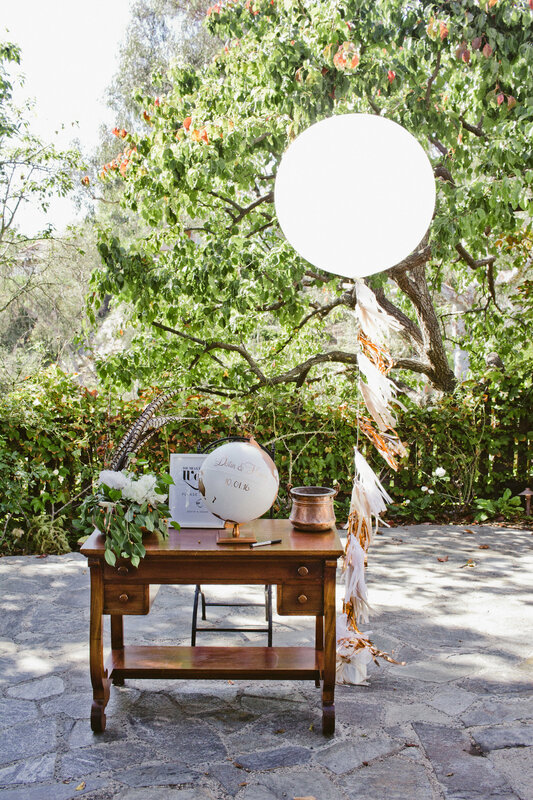 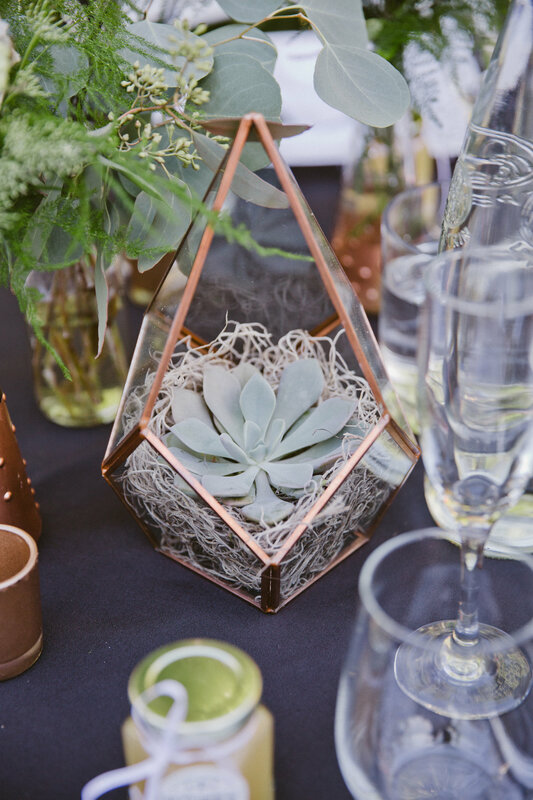 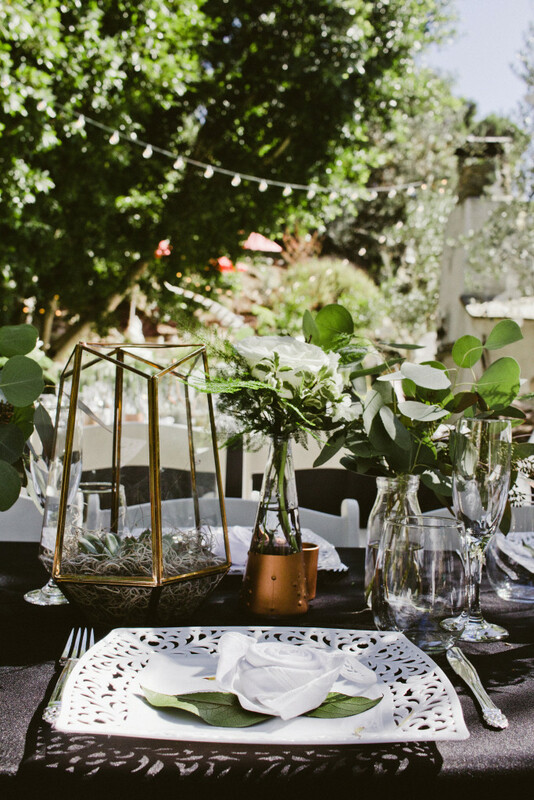 Some of our favorite details were the one thousand handmade white cranes that hung above the checkered dance floor for luck, oversized white balloons with copper + champagne fringe were sprinkled throughout the space, the white + copper guest sign-in globe, black and white family photographs in the yard for nostalgia, and copper terrarium decor. 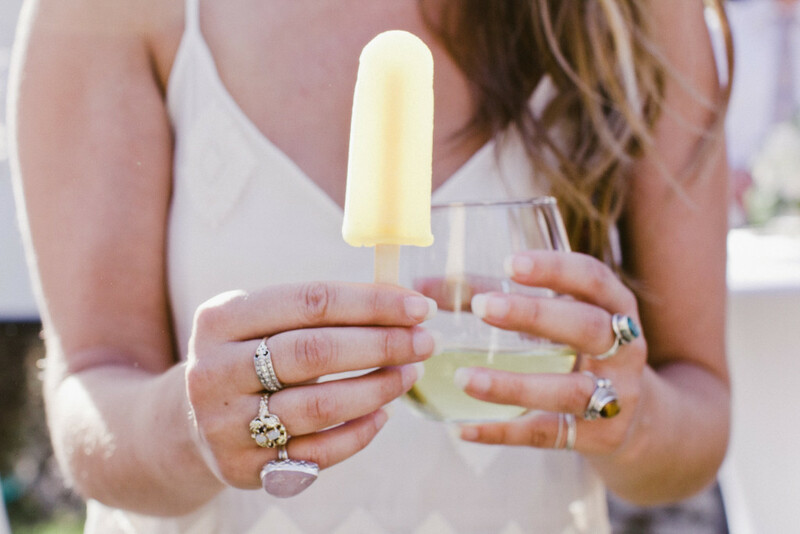 To top it off, guests were offered organic ice pops, mini cupcakes, vegan lemon bars, copper dipped arrow cookies (a nod to OkCupid). 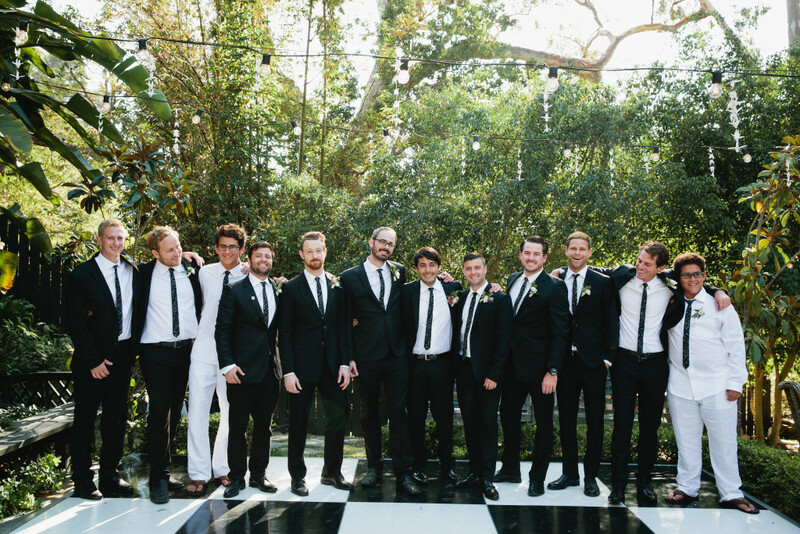 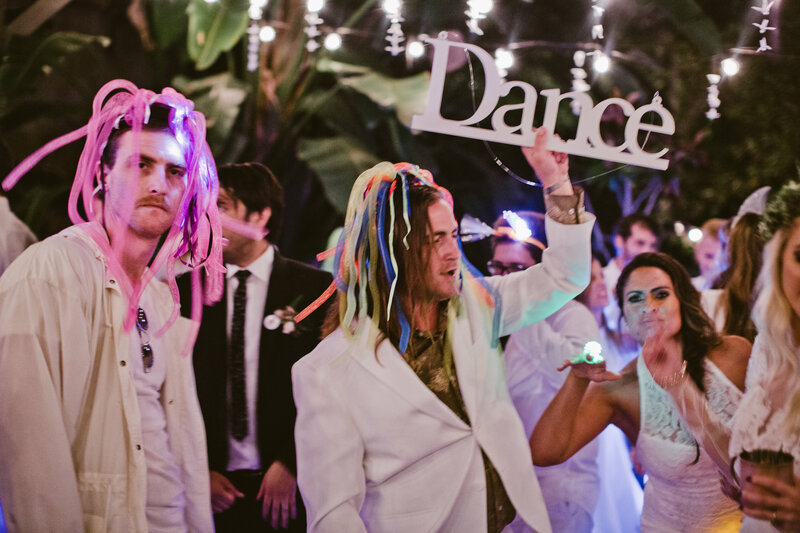 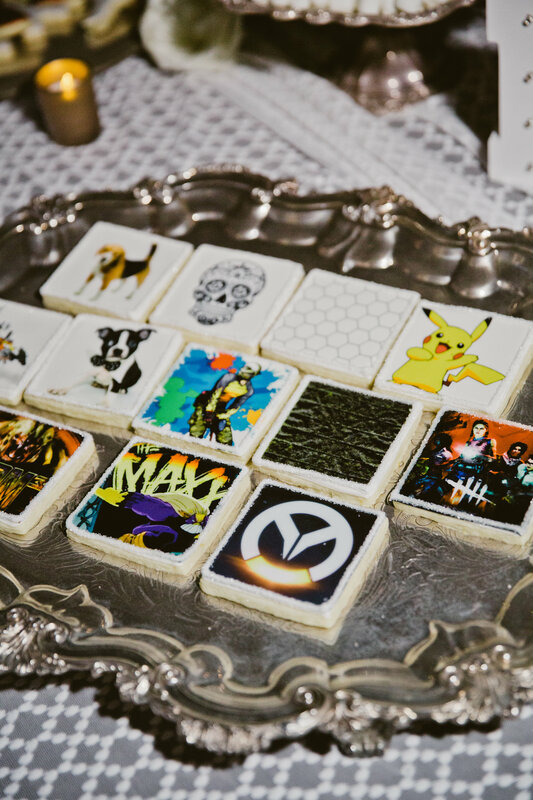 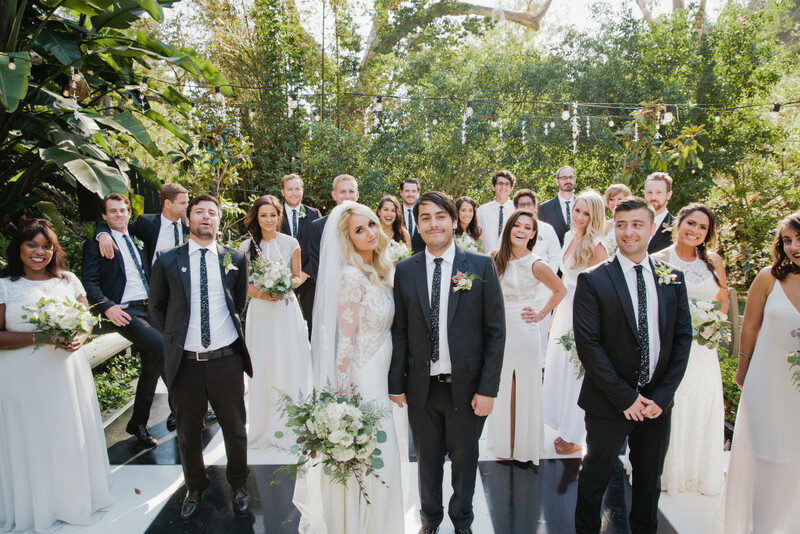 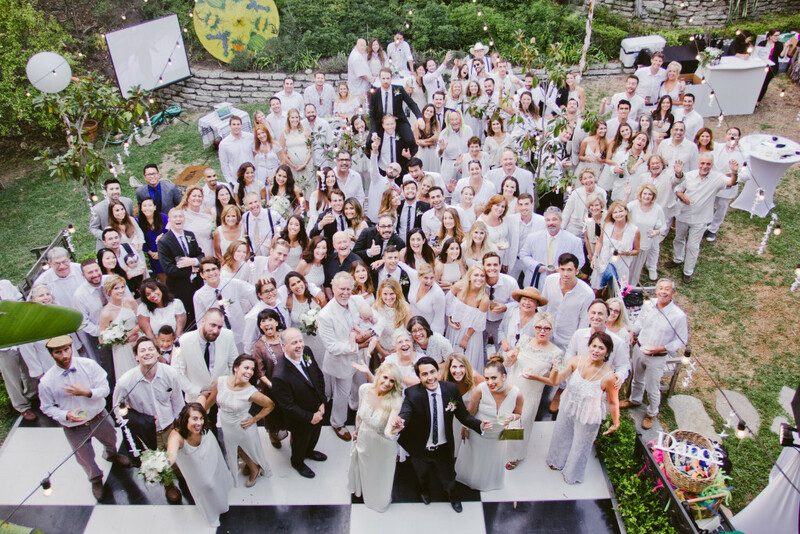 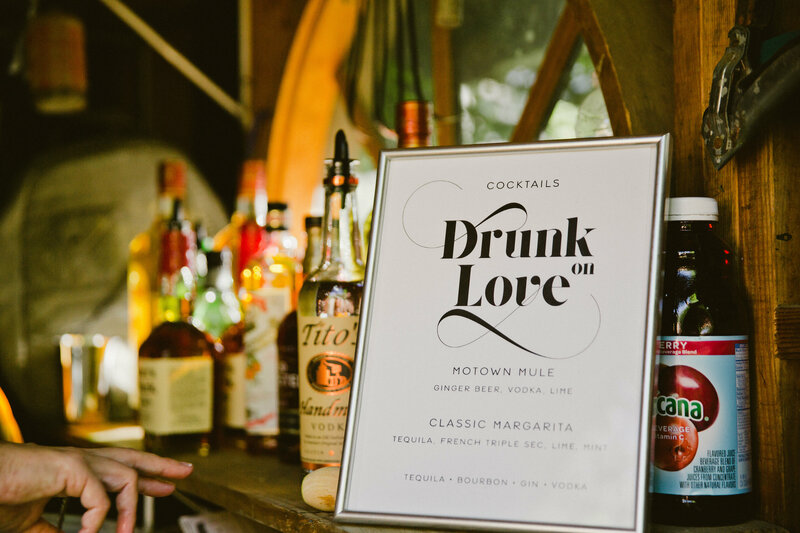 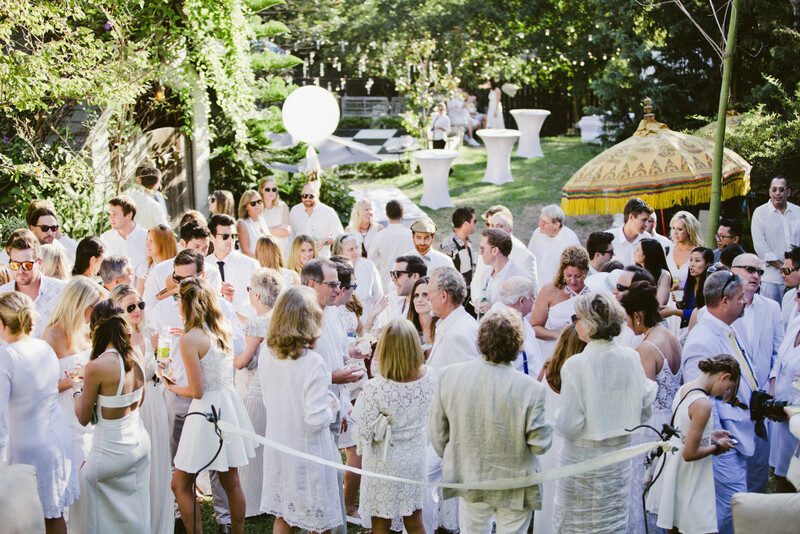 We don’t think it can get much cooler than this wedding!